Your Blog 4 Expensive Blogging Lessons. Blogging in itself is a simple concept. For internet marketers, we have always been exposed to the idea or concept of blogging for money. However, a huge problem is that most internet marketers have a misconception on blogging where they believe that they can actually get easy money from blogging. This is very far from the truth. While you can earn a lot of money from blogging, it is not as easy as you think it is. There’s work involved! We’ve created and ran numerous blogs for many years, and it is safe to say that we’ve had our ups and downs in this industry and more importantly, we are speaking from experience, so we know the inside out of blogging and how to turn ordinary blogging into a business where you can generate revenue from it and make a good income just by blogging alone. Today, we shall explore some of the lessons that we wish we learnt when we just started blogging 3 years ago. One of the things that we realize about blogging is that there is a huge hurdle to overcome for all newbie bloggers. However, the good news is, once you’ve conquered this, you will find that things will get a lot easier. A majority part of this huge hurdle that a new blogger would face is that you will start with low to zero audiences. And it is hard to get a sizable audience online, especially when you have nothing from your background to entice more people to subscribe to you. Getting a decent sized audience is very important because without it your blog post won’t matter much because there would be no one reading your posts. Therefore the smart thing to do here is to find out how to get a sizable amount of audience fast so that you will have a reason to blog and you know that there are people who are actually reading your stuff. In many ways this keeps you going on with your blog postings. Don’t be discouraged at first if your subscribers are at a low number such as 500 or so because the number will naturally increase gradually but exponentially because the more people you have on your blog the easier the news will spread. Keep in mind at first that you are trying to just help people, and even if you could help only a few people at first your blog post is not wasted. This way, you can motivate yourself to go on. If it takes 5 months to get to 300 subscribers, you will find that the next 300 will take a much lesser time. The numbers will keep increasing in an exponential pattern. I know most of us have heard of those instant blogs or sales letter hypes that says you can blog your way to the bank within a few days…, but one must realize that hype is nothing but hype. And if you do not believe that then you are going to be in for a shock. Many actually believed that as long as they have a blog, then they will start to make money. That is nothing near the truth. Do yourself a favor and forget about all the fake lies that are being handed out about blogging every day on the internet. Your blogging success is your own responsibility, and if you do not do anything to grow it, you won’t earn a single cent from it. Nope, there is not going to be any overnight riches or will you be able to pull out a lot of subscribers to your blog without lifting a finger. You will actually have to start posting blog posts that matters and you will have to start implementing traffic strategies like SEO or buying traffic to give your blog post a jump start. 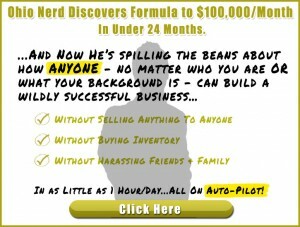 The good news is that everything that you will need to run and grow your blog to success is out there on the internet for free so you do not actually have to buy into some of those over hyped sales letter. All you need to do is to take charge and work on your blog tirelessly, and you will get the results that you are always looking for. Being Different is a good thing. There are countless blogs out there today, and you should never try to bore your readers into loving you. You’ve got to be different and by being different you can finally stand out from the crowd. Some of the things you can do to be different and stand out from the crowd is your writing style, your pictures, your concept, the length of your post or how frequent you post your blogs. Of course, this is not to say you should limit to these ideas only, because there’s always so much more things you can do to be different. The worst thing you can be as a blogger is to be the same as everyone else. That will kill your blog like the rest. No one cares about you. The last thing I would like to share here is that nobody cares about you or your opinion. However, what they do care is how your opinions or ideas can affect their lives. That’s right folks! It has always been about them, or they won’t pay attention to you. Nobody is going to waste their time and envy how big your house is or what car you drive. However, what they will want to know and be interested is how or what did you do to get those luxuries in the first place. This is because everyone wants to learn your secrets and hopefully duplicate it for their own benefits. Therefore, you will find that the best thing to do when you are blogging is to avoid talking about yourself and senseless things that does not matter. Even f you find yourself blogging about jokes or humors, you will find that if no one understands your jokes… then the joke is on you. ← 3 Online marketing aspects you should know.